Thanks for that Herb Collector I would love to see the rest of the article when you have time. 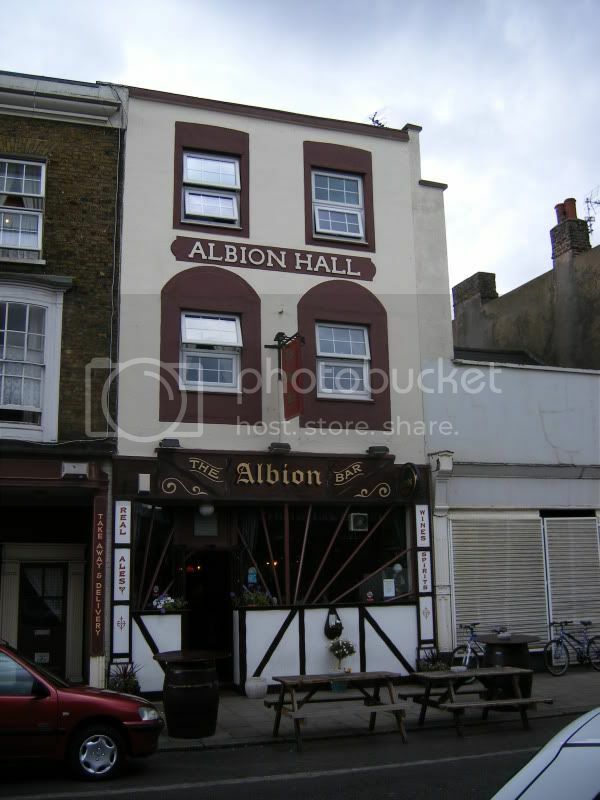 Here is a recent picture of the Albion Hall as it is today, I should imagine it is the same place though the card looks more spacious and a grander building. A bit of artistic licence I think on the part of the advertiser . Hi, From interview with a chap who preferred not to give his name. (Sheerness) Guardian and East Kent Advertiser, 13th feb 1909. 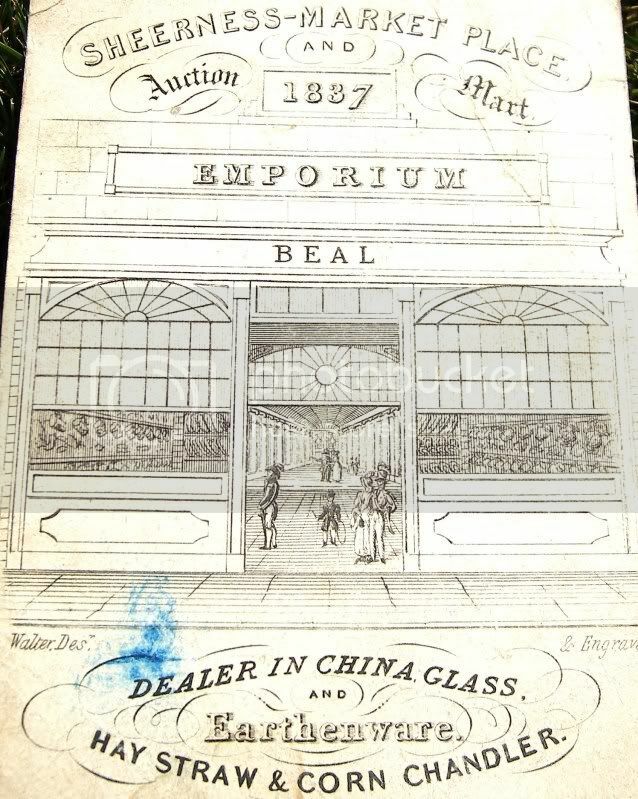 Refering to Albion Hall, the premises of councillor Jas tower, c,c, my informant explained that it was, first of all, an important market place, known as "The Emporium" Afterwards it was a police court, and, later on, a grocers shop owned by Mr Johnson..
Later in the same article, concerning around 1850. J Beal. clothier: the market or Emporium: James Herbert had premises here, In an upper room of which was a billiard table. The Emporium Is now the Albion bar. Will post complete article when i have more time. Article posted in Old Bluetown and Sheerness. Grocer and dealer in Sundries.